This leads us to the launch of our latest feature, a live streaming experience for both mobile and desktop. 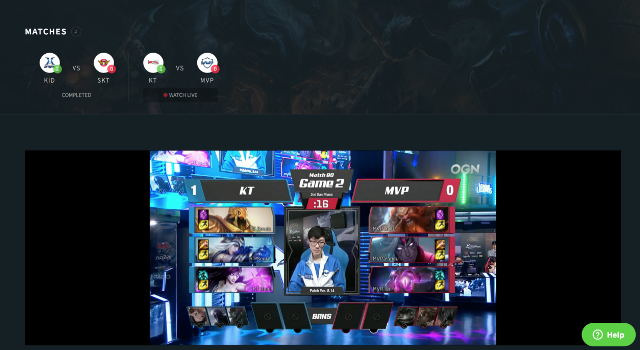 While keeping an eye on the performance of each of your rosters and professional players in real time, now you won’t miss a moment of the action as the play unfolds, with the ability to watch live streams side by side. To get started on mobile simply select a Live Contest from the Lobby, and choose your preferred match to live stream. The experience also crosses over to desktop, with the main difference being the size of viewable real estate. With the additional space available we have also added live match data, so now you can keep track of team scores in addition to how your players and rosters are performing. One of the frequent requests we receive at Skrilla HQ is the ability to earn Skrilla Tokens (SKR). This has not fallen on deaf ears. The team are finalising beta testing of the first stage, which will soon see you rewarded handsomely for referring friends who join the platform. Keep an eye out in the very near future for the new Promotions experience. A full announcement to follow, once the gremlins have been purged.